1. Milner C.E. Cote A. Benefits of napping in healthy adults: impact of nap length, time of day, age, and experience with napping. J. Sleep Res. 2009; 18: 272–281. 2. Айламазян Э.К. Акушерство: национальное руководство. М.: ГЭОТАР-Медиа. 2007. 521 c.
3. Chang J.J., Pien G.W., Duntley S.P., Macones G.A. Sleep deprivation during pregnancy and maternal and fetal outcomes: Is there a relationship? Sleep Med. Rev. 2010; 14 (2): 107–114. 4. Williams M.A., Miller R.S., Qiu C., Cripe S.M., Gelaye B., Enquobahrie D. Associations of early pregnancy sleep duration with trimester-specific blood pressures and hypertensive disorders in pregnancy. SLEEP. 2010; 33 (10): 1363–1371. 5. Протопопова Н.В., Колесникова Л.И., Ильин В.П. Метаболизм и гемодинамика у беременных с артериальной гипертензией. Новосибирск: Наука. 2000. 260 с. 6. Tsai S.Y., Lin J.W., Kuo L.T., Thomas K.A. Daily sleep and fatigue characteristics in nulliparous women during the third trimester of pregnancy. SLEEP. 2012; 35 (2): 257–262. 7. Колесников С.И., Иванов В.В., Семенюк В.В., Колесникова Л.И. Беременность и токсиканты. Новосибирск: Наука. 1986. 159 с. 8. Сидельникова В.М. Привычная потеря беременности. М.: Триада Х. 2005. 304 с. 9. Naud K., Ouellet A., Brown C., Pasquier J.C., Moutquin J.M. Is sleep disturbed in pregnancy? J. Obstet. Gynaecol. Can. 2010; 32: 28–34. 10. Facco F.L., Grobman W.A., Kramer J., Ho K.H., Zee P.C. Self-reported short sleep duration and frequent snoring in pregnancy: impact on glucose metabolism. Am. J. Obstet. Gynecol. 2010; 203 (142): 1–5. 11. Jomeen J., Martin C.R. Assessment and relationship of sleep quality to depression in early pregnancy. J. Reprod. Infant. Psychol. 2007; 25: 97–99. 12. Skouteris H., Wertheim E.H., Germano C., Paxton S.J., Mil-grom J. Assessing sleep during pregnancy: a study across two time points examining the Pittsburgh Sleep Quality Index and associations with depressive symptoms. Women’s Health Iss. 2009; 19: 45–51. 13. Hall W.A., Hauck Y.L., Carty E.M., Hutton E.K., Fenwick J., Stoll K. Childbirth fear, anxiety, fatigue, and sleep deprivation in pregnant women. J. Obstet. Gynecol. Neonat. Nurs. 2009; 38: 567–576. 14. Chang J.J., Pien G.W., Duntley S.P., Macones G.A. Sleep deprivation during pregnancy and maternal and fetal outcomes: is there a relationship? Sleep Med. Rev. 2010; 14: 107–114. 15. Larson L. Pulmonary disease in pregnancy. Chapter I. In: Medical disorders in obstetrics practices. 5th edn. R.O. Powrie, Michael F., Gamman G. and W.P. (eds.). Chichester: Blackwell Publishing Ltd. 2010. P. 1–47. 16. Calaora-Tournadre D., Ragot S., Meurice J.C. Obstructive sleep apnea syndrome during pregnancy: prevalence of main symptoms and relationship with pregnancy induced-hypertension and intra-uterine growth retardation. Rev. Med. Interne. 2006; 27 (4): 291–295. 17. 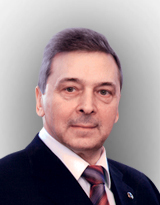 Мадаева И.М., Колесникова Л.И. Нарушения сна в клинике внутренних болезней. Бюлл. Вост.-Сиб. Научного Центра СО РАМН. 2003; 2: 14–17. 18. Buysse D.J., Reynolds C.F., Monk T.H., Berman S.R., Kupfer D.J. The Pittsburgh Sleep Quality Index: A new instrument for psychiatric practice and research. Psychiatry Res. 1989; 28: 193–213. 19. Jomeen J., Martin C.R. Assessment and relationship of sleep quality to depression in early pregnancy. J. Reprod. Infant. Psychol. 2007; 25: 97–99. 20. Skouteris H., Wertheim E.H., Germano C., Paxton S.J., Milgrom J. Assessing sleep during pregnancy: a study across two time points examining the Pittsburgh Sleep Quality Index and associations with depressive symptoms. Women’s Health Iss. 2009; 19: 45–51. 21. Рензо Ж.-К. Современные аспекты невынашивания беременности. Эффективн. тер. в акушерстве и гинекол. 2009; 7: 67–69. 22. Колесникова Л.И., Мадаева И.М., Протопопова Н.В., Сахьянова Н.Л. Влияние нарушения сна на состояние плода у беременных женщин с артериальной гипертензией. Акушерство и гинекология. 2012; 5: 17–22. 23. Karl A. Franklin, MD, PhD, FCCP; Per Ake Holmgren, MD, PhD; Fredrik Jonsson, MD; Nils Poromaa, MD; Hans Stenlund, PhD; Eva Svanborg, MD, PhD. Snoring, pregnancyinduced hypertension, and growth retardation of the fetus. Chest. 2000; 117: 137–141. 24. Chakradhar V., Saiprakash B.V. Sleep-disordered breathing during pregnancy. J. Am. Board. Fam. Med. 2009; 22 (2): 158–168. 25. Christian Guilleminault, , Luciana Palombini, Dalva Poyares, Sha-non Takaoka, Nelly T.-L. Huynh, Yasser El-Sayed. Pre-eclampsia and nasal CPAP: part 1. Early intervention with nasal CPAP in pregnant women with risk-factors for pre-eclampsia: preliminary findings. Sleep Med. 2007; 9: 9–14. 26. Blyton D.M., Skilton M.R., Edwards N., Hennessy A., Celermajer D.S., Sullivan C.E. Treatment of sleep disordered breathing reverses low fetal activity levels in preeclampsia. SLEEP. 2013; 36 (1): 15–21. 27. Ковров Г.В., Посохов С.И. Сегментарная организация сна. Журн. высш. нервн. деятельности. 2002; 52 (5): 570–574. 28. Lee K.A., Zaffke M.E., Baratte-Beebe K.J. Restless legs syndrome and sleep disturbance during pregnancy: the role of folate and iron. Women’s Health Gend. Based Med. 2001; 10 (4): 335–341. 29. Pien G.W. Schwab R.J. Sleep disorders during pregnancy. SLEEP. 2004; 27: 1405–1417.